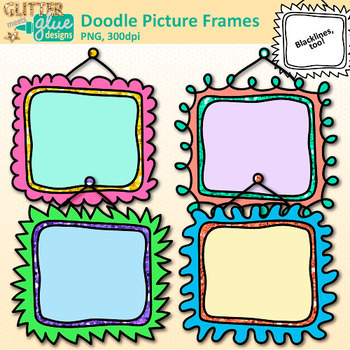 Doodle Picture Frames Clip Art: Step into Spring with these funky glitter frames to pep up your teacher resources. Create signs for your leveled readers in your classroom library. Design a special bulletin board display for all the fun drawings you receive from your students. Make learning facts fun by listing them on these doodle frame clip art graphics. FEEDBACK ON FREEBIES IS ALWAYS APPRECIATED, THANKS!